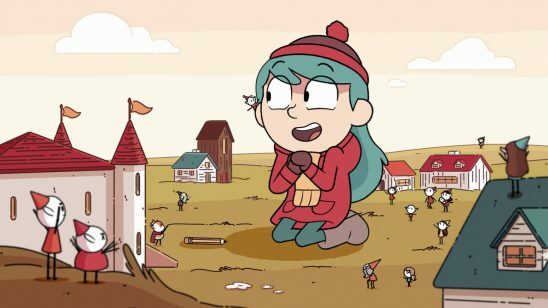 Netflix's Hilda is light and delightful. Now go write me a novel for adults like this. Yes, you. For years now, studios and publishers have produced grimdark story after grimdark story. The backlash to this is already building, but the rain of violent, soul-sucking, haunted, gritty, ebony realism keeps pouring down. So if you’re looking for a trend that might still be relevant after the time it takes to write a novel, a light story in an optimistic setting is a good bet. Many adults who want quality, low-tension books are having trouble finding them. But like many other things, crafting a light story comes with its own storytelling considerations. 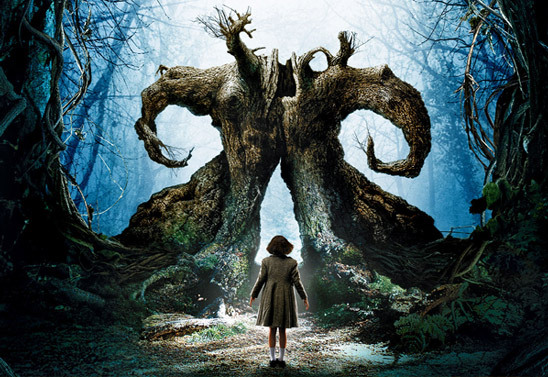 Pan’s Labyrinth is a great movie, but most people don’t want to watch the bunny murder scene every night. Tension is what drives stories; it turns random occurrences into a plot. Tension is created once you introduce a problem that matters and leave the audience hanging as to whether or not that problem will be solved. Essentially, it’s the suspense created by this uncertainty. Even at low levels, tension makes stories more entertaining and audiences more interested in the story’s outcome. However, unlike the other effects that increase engagement, tension has a downside: it’s stressful. Some audience members don’t want to consume stories that stress them out, and people often look for something light when they’re having a bad day. While it’s critical for storytellers to learn how to create and maintain tension, more tension is not always better. Unfortunately, right now most low-tension works are being written for children. Because light works for adults are hard to find, some people even look for stories where the plot isn’t working, and the tension was lost on accident. But a broken plot doesn’t just lack tension; it’s also less satisfying. A story with a well-structured plot that’s still low tension has the potential to fill a significant, unmet demand. 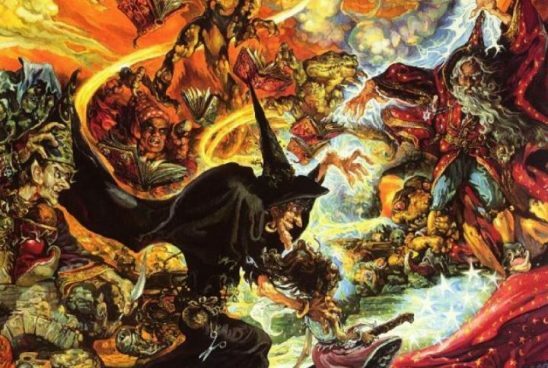 Terry Pratchett’s Equal Rites is about a girl who wants to go to Wizard school. Let’s go over some tips for lowering the tension while still crafting plot arcs that work. One of the primary ways to raise tension is to make the problem bigger. In storytelling, that’s defined by how bad the consequences will be if the problem isn’t solved. For many stories, the stakes are the life or death of the protagonist. In more epic works, the fate of the entire world could be at stake. For a light story, you’ll want something less stressful. Generally, that means it’s more emotional and personal in nature. Maybe it’s whether or not the protagonist finds fulfillment or achieves their dreams. Relationship arcs are also good choices. Romances can be quite light. Altogether, you’re looking for something that’s small in scope – affecting just a few characters – but still has emotional meaning for your audience. Psychological studies have repeatedly shown that people are more preoccupied with losses than gains. For that reason, story conflicts usually focus on the negative consequences of failure. But it doesn’t have to be that way. Instead, you can introduce an ongoing problem and offer the hope of solving it. For instance, a lonely character might search for a long-lost friend or parent. A character who works a meaningless job might join an adventurous club in hopes of finding fulfillment. This still gives the audience a problem that needs solving and anticipation for a possible resolution, without holding the threat of something terrible over their heads. Stories are held together by their throughline – an important problem that’s present from the start and resolved at the story’s climax. Because they must be compelling enough to sustain the whole story, throughlines usually use high-tension problems. However, if you have a stronger structure within the story, the throughline’s tension doesn’t have to be as high to hold the story together. For a more episodic story, focus on a series of problems within the throughline. One problem per chapter works well. Short-duration problems don’t have to be as dire to keep the audience’s attention, and the audience won’t be in suspense as long before seeing these problems resolved. Episodic stories also offer convenient, low-tension stopping points. Audience members who are avoiding high-tension stories will appreciate being able to put the book down without worrying about what will happen to your characters. Just make sure to resolve each problem by the end of the chapter – no cliff-hangers! For more on what this looks like, you can look at the fractal example in my plot threads post or read my article on fractal plotting. 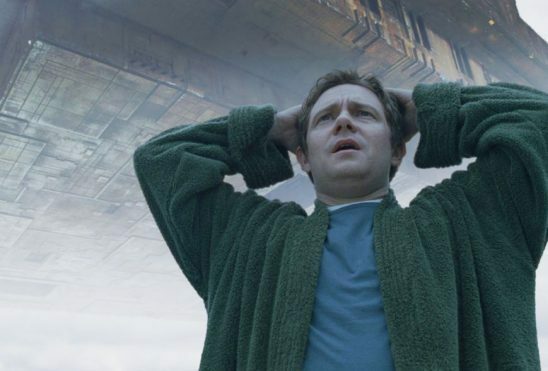 In The Hitchhiker’s Guide to the Galaxy, the entire Earth is destroyed. But all the characters we know are out of harm’s way, so it’s just fine. Besides using lower-tension problems, unpleasant events can also be expressed in ways that have less impact on the audience. Just like an endeavor to lower tension, this can mean going against standard storytelling advice. First, conflicts can be resolved through means other than violence. This is a good choice in narration, because fight scenes aren’t as fun in narration as in film anyway. When they are, it’s usually because of the higher tension, which we’re avoiding. While you could also depict soft violence that somehow never seriously harms anyone, that will probably feel a little cartoony. For this reason, the tactic is better suited to works for children, but in niche situations it could fit the atmosphere you’re creating. Similar to avoiding violence, steer clear of social conflicts that could be traumatizing if they happened in real life. Powerful characters probably shouldn’t yell at, tear down, or name call less-powerful characters. Light stories are a good place to feature nuanced disagreements between characters who all mean well but have different ways of looking at the world. Whenever you cover an event that could be unpleasant, it’s time to tell instead of show. If someone breaks a limb, just say it’s painful; don’t describe shooting splinters going up their arm. Your audience should know if one of your characters is mourning the death of a loved one or experiencing regrets about something they did, but to keep the story light, don’t make the audience mourn or regret with them. If you have a tragic backstory or similar dark events that set up the story at hand, summarize them or allude to them rather than writing full scenes. If your story has an antagonist that’s doing real damage to people and places, it isn’t hard to ensure the audience doesn’t care much. The victims should be strangers the audience doesn’t know, though they can occasionally be a minor character who is decidedly unpleasant. Depict your unfortunate events as humorous and brief, if they’re on screen at all. Perhaps a dragon swallows someone whole and burps afterward. Then don’t show any meaningful consequences of the supposed tragedy. Say “no” to orphaned children who show up crying about their lost parents. Another way to lower tension is to make your narration more distant. If you are writing in third person, you have the option of carefully varying the narrative distance, so you can make darker scenes selectively more distant than lighter ones. However, I only recommend this if you feel you have a strong handle on distance, because if you change the distance too fast or mix them up, it will be jarring to readers. Another option is to write in omniscient rather than close limited. This has its own advantages, but it generally makes all the emotions of the story weaker, not just the dark ones. I’ll cover this trade-off further in the next section. 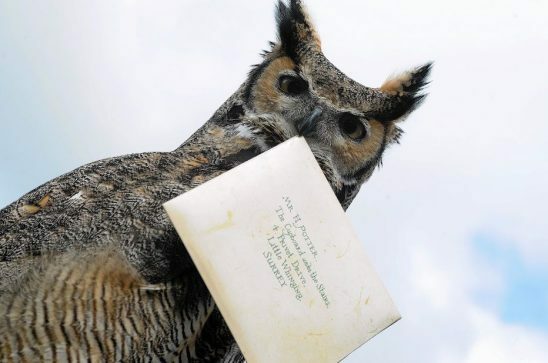 The Potterverse is full of fun details that are continually introduced during the books. This way Rowling keeps up the novelty. Unfortunately, lowering tension will make the story less gripping. For this reason, light stories need to emphasize other means of engaging audiences. In particular, the low-stakes, personal plotlines I mentioned earlier require strong attachment to characters. If the world needs to be saved, audiences might tolerate a protagonist that they aren’t excited about but who at least isn’t annoying. But if you are using an emotional or relationship arc as your throughline, they need to really care about the character(s) in question for the plot to function. This is where taking the time to establish your protagonist’s humble virtues can really pay off. While not every story needs a super moral protagonist, in general I recommend saving immoral ones for darker stories. Give yourself a main character who’s trying hard and wants to do the right thing. This character does not need to be bullied or oppressed to be sympathetic; they just shouldn’t be living in comfort or glory. If you are using a relationship arc, extra time and care should be taken to make that relationship feel positive and authentic. Don’t rush it or make it ordained by the gods – it must develop naturally from the personalities of the characters. It’s really helpful to consider what emotional needs your characters have that the other can fulfill. While attachment will help audiences become invested in a plot with lower stakes, novelty provides entertainment when tension is low. Unlike attachment, however, novelty doesn’t last long. You have to work at it for the entire story. For instance, an obvious way to add novelty is to include lots of humor in your story. But that means a lot of work making and refining jokes, and then testing if people actually find them funny. Unless comedy is your thing, it’s easier to put in amusing elements where you can, but don’t rely on them to carry the story. Instead, use your worldbuilding to introduce more novelty. Build an imaginative world with a playful and light atmosphere for your audience to enjoy. Something magical with lots of fun creatures would work well, like the surrealist fantasy Hilda or the Potterverse without fascists or dark magic. You can try the solarpunk genre or get inspiration from settings like Dinotopia. Go ahead and make your world a utopia if you want to; unlike higher-tension conflicts, personal issues are still doable in a utopian setting. Consider making room for a more complex world by keeping your plot simple and focusing on fewer characters. Wordcraft can also be an important way to add novelty. In particular, the omniscient narration in famous light works such as the Discworld series or The Hitchhiker’s Guide to the Galaxy adds lots of novelty to those stories. However, while omniscient narration gives you the freedom to make your wordcraft more amusing, it does come at the cost of emotional distance. This is great for minimizing stress, but it also reduces attachment. Writing an entertaining narrative voice is a lot of hard work for most people, so don’t write in omniscient narration unless you’re willing to slave over your wordcraft for the full length of the story. While light stories are rarely given credit for containing important messages, that doesn’t actually make them less effective at conveying them. Without violence and other dark and distracting things, storytellers are free to focus on what they find meaningful. And audiences appreciate stories that not only feel good but give them something to think about. Oh, yippie! This is so, so, so helpful! I’d like to take a moment to list the podcasts and articles that have helped me the most, especially with figuring out what I truly want to do with my stories. These articles have helped me, too, in a sort of ‘avoid these’ way, as well as the fact that I’ve done many of the things listed in them, and I’m striving for great justice! I mean, becoming a better writer. All in all, these are my favourite podcasts and articles to listen to and read over and over again. Thank you so much, Mythcreants team.